This VIS image shows part of the southwestern flank of Pavonis Mons. 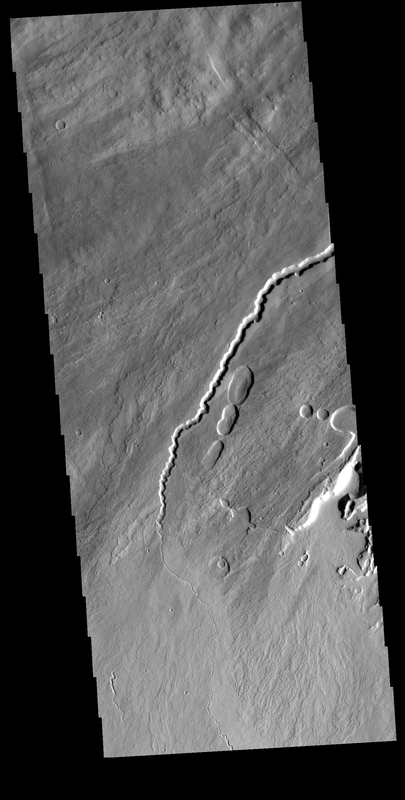 The channel and nearby oval depressions are both related to the flow of lava. Narrow lava flows can create channels. The cooling of the top of the channel will form a roof over the flow, creating a tube beneath the surface. After the lava stops flowing the tube can empty, leaving a subsurface void. The roof will then collapse into the void forming the oval surface features.